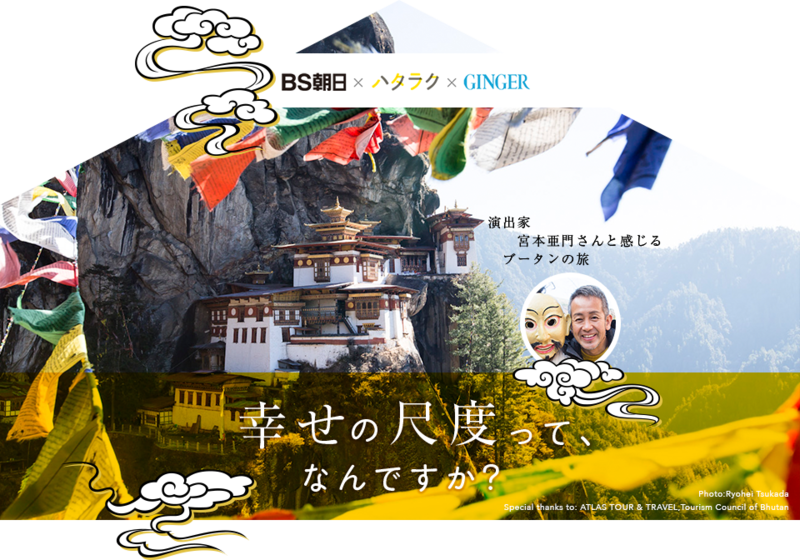 Mr. Amon Miyamoto, a popular Japanese art director, visited Bhutan in December 2014 to find the clue. Eleven days journey in Bhutan. We received so many GIFTS during this trip. We would like to share all these GIFTS with our readers. 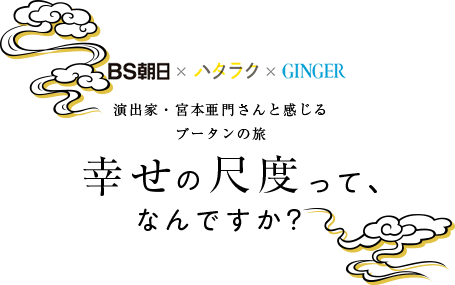 This Japanese web essay consists of 20 stories. We would like to share our thoughts and experiences of Bhutan with more people all over the world especially with the youth in Bhutan. So here, let us translate and introduce the last three stories in English. We would be overjoyed if you all can feel the happiness and the meaning of life through our stories. Kadinche la (Thank you) !! It’s the last night of our trip to Bhutan. By remembering every single experience during this trip, Amon san rethinks the meaning of his visit to Bhutan at this right moment. Dochula pass, on the way to Paro from Phobjikha. A majestic view of the Himalayan range. Amon san continues to talk about the amazing power of Bhutan. “I also found that prayers are very important here. Whichever farmhouse it is and whoever they are, everybody prays for all sentient beings to be released from sufferings and be enlightened. Born on 4th Janurary 1958 in Ginza, Tokyo, Japan. He has directed a variety of arts such as musicals, straight plays, operas and KABUKI worldwide.